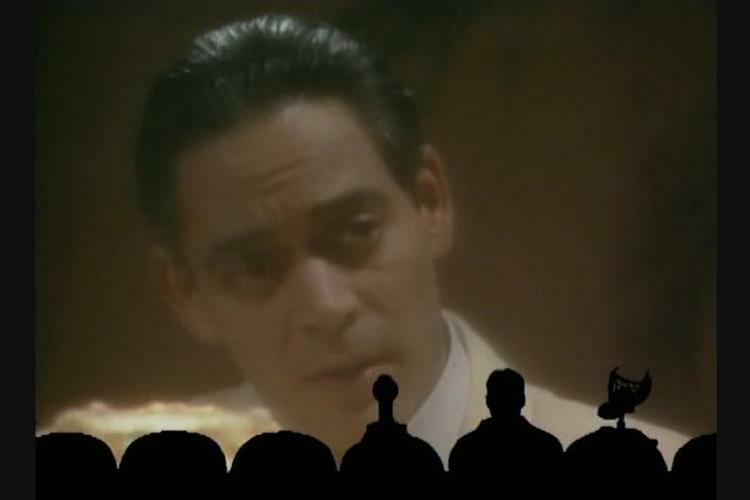 In perhaps his best role in a serio-comic science fiction story shot on video for Public Television, Raúl Juliá portrays a hapless programmer named Fingal, hoping to thwart this evil corporate overlords, injects his “dopple” into the company’s mainframe. 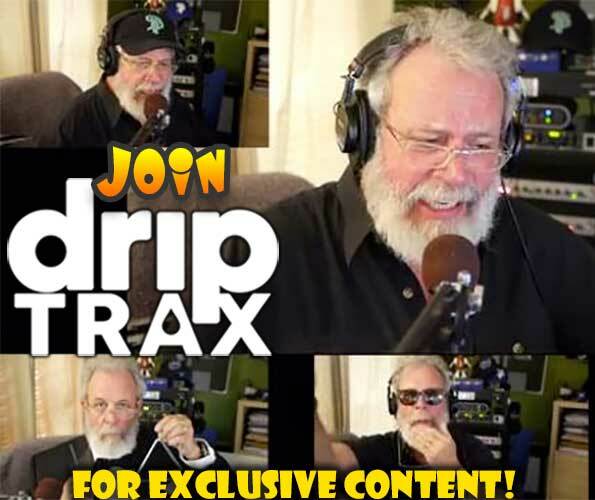 There’s virtual poker, virtual nookie, and virtually ten minutes of Juliá screaming over stock footage of monkeys! Will Fingal’s Dopple bungle? 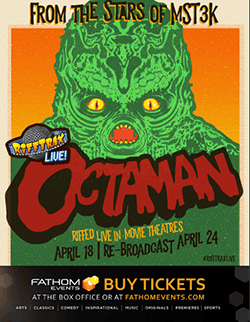 Tune in and see. 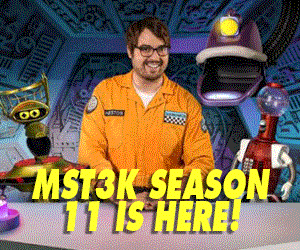 Meanwhile, Crow sports a new catch phrase, Servo buys a monkey online (never a good idea), while Pearl and Brain Guy sing their evil hearts out. 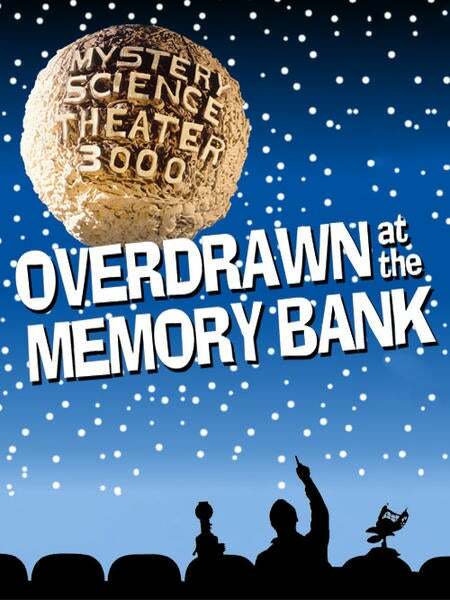 Join Mike, Crow, and Servo as they’re Overdrawn at the Memory Bank!